# 3 of 669 Aged Cares in New Zealand. Waikiwi Gardens is a small locally owned and operated rest home in Invercargill. We strive to provide a warm and friendly atmosphere where people feel they belong and are happy to call home. 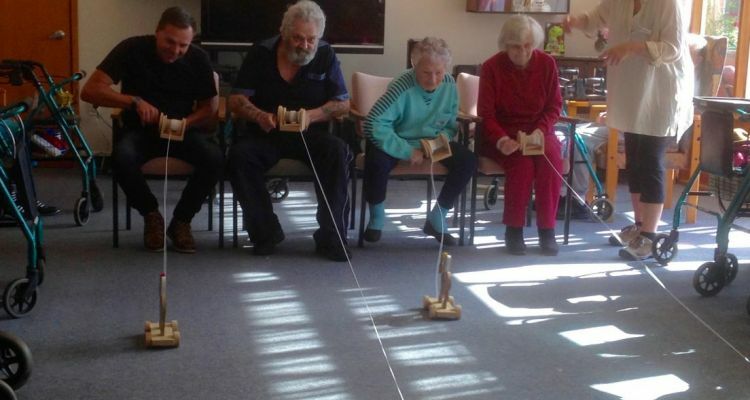 This facility is owned by Kyber Health Care Ltd.
Waikiwi Gardens Rest Home is located in Waikiwi, Invercargill and offers Rest home care, Respite Care, AGED CARE aged care in a 39 bed facility. We have two wonderful full time RNs who are on-site Monday - Friday and on-call 24 x 7. We have a number of exceptional care givers whose number one priority and passion is for the well-being of our residents. They provide around the clock care and always come to work with a smile and a big heart ready to help. Our chef Tash brings a huge amount of energy, experience and passion to the kitchen. Her baking and cooking is second to none. Tash is supported in the kitchen by our cook Vanessa. Denzil & Kate are the proud new owner operators of Waikiwi Gardens Rest Home. They are excited about this opportunity and bringing about positive change. Their experience in rest homes comes from owning a small care facility in South Canterbury. Our diversional therapist runs a programme of activities and events based on residents needs that is meaningful and enjoyable, which promotes dignity and independence through the development of individualised resident recreational plans. This programme is designed to support, challenge and enhances the psychological, social, emotional and physical wellbeing of our residents. × Have you visited this facility? Help others who are looking for a place by posting a review on Waikiwi Gardens Rest Home or review a different facility now. The staff are certainly one of the many highlights of this facility, with a genuine down to earth and homely approach they make the residents feel well cared for and listened to. Feedback is always taken on board and individuals catered to their needs accordingly. Waikiwi Gardens is a small resthome that really does make people feel a part of the family that it is. It is a privilege to be a part of. Seasonal changes to menu always welcome, this has already been implemented with the Head Chef. Really welcoming friendly staff and overall environment. It feels homely. The food smells and looks delish too. Own bathroom attached to the room. Cat door for our cat. [Name withheld at users request]Waikiwi Gardens Rest Homeexcellent. Waikiwi Gardens is lovely and small, it really feels homely and welcoming. The staff are so friendly and caring and they do a great job of caring for the residents. I'm told the food is fantastic. Management are very approachable and always willing to help. Waikiwi Gardens, a smaller facility offering home away from home care. From your first steps into these facilities its apparent there is a lot of care and thought goes into every single residents well being. The residents always look so well cared for, they all appear happy, well nourished, and there is a positive attitude from everyone you meet. That covers not only the residents but the Managers, and staff, even Summer the resident Labrador dog is always looking to welcome you. Non to report to date. Keep up the excellent work. You are doing an amazing job in an extremely difficult industry. Keep up the high standards you set yourselves when taking over Waikiwi 2 years ago it certainly is appreciated by all your residents and their families and you have made the world a far better place for these people. The piece of mind it gives is immeasurable. Thank you. The managers and staff are very welcoming and professional. There is a friendly and happy atmosphere about the place. Great atmosphere, homely, great meals. Continue to provide leadership and enhance resident care.